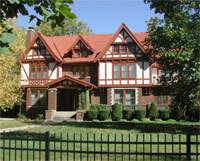 Minonk's residential area is a pleasant blend of new homes with many fine older homes. People in Minonk take pride in their homes. 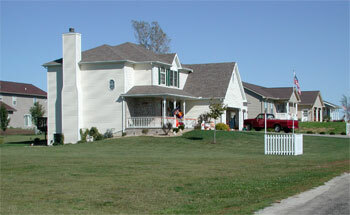 Houses are well maintained and landscaped. There is an ample supply of carpenters, plumbers, and electricians for building new homes or for remodeling older ones. House lots and construction is relatively cheap compared to communities closer to Bloomington and Peoria. Minonk currently has two large residential development areas. The Builta addition is located at the southeast edge of Minonk and the Millennia Park Subdivision is located directly west of the New Millennium Sports Park at the north edge of the city. Minonk has plenty of lots available for new home construction. 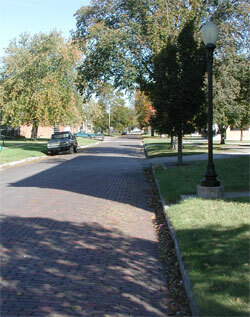 Minonk is famous for its many brick streets which have been in use since 1915 and give a unique and quaint character to the city. 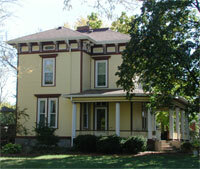 Minonk had many wealthy businessmen who built fine Victorian homes in the late 1800's. 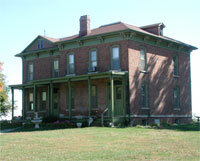 Many of these homes survive today and are being restored for modern living. 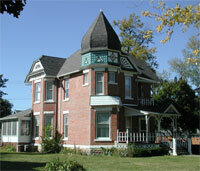 Many of Minonk's older houses have been restored to their original splendor.